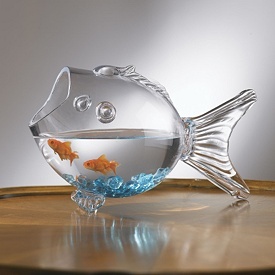 devotion « Living Life in a Fish Bowl! what replays in your mind? Yesterday this verse landed in my lap, so to speak. God’s Word has a way of doing that. Meditating on this verse brought: renewed joy, peace, hope, strength, resolve, perseverance… Nothing we face is bigger than our God. Our God is greater! What about you? Do you turn to God’s Word to find help for today? What are you meditating on? What is it that you dwell on, meditate, rehash, go over and over again in your mind? When we choose to dwell on the things of God, our lives are richer for it. Choices — when you encounter troubles, where will your words and actions take you? Our faith grows as we do what we are called to do recognizing that the glory belongs to God. Our faith grows every time we do the right thing especially when the right thing is not easy. Our faith grows as we walk in obedience. 1 Cor 16:13 tells us four important things to do. All of these are possible as we rely on and trust in Christ to see us through whatever comes our way. Faith is not so much something we believe. Faith is something we live. It was by faith that we left MN 27 years ago and moved to Iowa. What an incredible journey of faith, hope and love it has been. I expect year 28 to be filled with awe and wonder as God continues to work in and through Cornerstone family! To God be the glory! Fear cripples faith BUT Faith overcomes fear! I woke this morning reminding myself that I can and do trust God’s timing. Waiting can be so hard. Jealousy (as you see someone else enjoying the very promise you are waiting on) tries to plant itself in my heart. When that doesn’t work then sadness seeks to overtake me with thoughts like ‘it’s never gonna happen” or “how much longer can I hold on?” When that doesn’t work then thoughts of what I can do to speed up the process flash across my brain. God told Abram that he would have a son. (“but a son who is your own flesh and blood will be your heir.” Genesis 15:4) And then the waiting process began. However, Ishmael was not the child God had promised. What a mess Sarah had made of her impatience and lack of trust. Genesis 16:12 calls Ishmael a wild man. There was a price to pay for Sarah’s impatience. A good example of how our choices can impact others. It can be easy to fall into the same trap as Sarah. When we do our own thing instead of waiting on God, we also get a mess. Consequences of that mess can follow us the rest of our lives. Trust, hold on, stay firm, endure – knowing that God is not on vacation but very much active in what is going on in our lives. His timing is always right on. Are you waiting for something? Don’t lose heart, resist jealousy and/or sadness, and make the choice to follow God. Wrong side of the bed? Are you crabby this morning? Maybe a little owlie or grouchy? Some could even say you got up on the wrong side of the bed. I have found a sure fire way to start my day off right. Before I get out of bed, I start my conversation with God. Yes, it is just that simple. “But as for me, I will sing about your power. Sometimes I’m awake long before I have to get up. As I am talking with God, I may fall back asleep. That is not a bad thing. It’s not too late. Take a few moments right now to connect with God. It will change your day..
Daniel was being considered to rule over all of King Darius’ empire. This didn’t sit well with the other presidents and governors. Jealousy rose up. The trap is set. (v 6-9) Now they wait for Daniel to do what he does each day. The King wanted to save Daniel but it was too late. (v 14) Daniel was thrown in the den. The deed was done. I can only imagine how the King felt that night. He knew then that he had been tricked into signing that decree. He lost his appetite. He refused entertainment and didn’t sleep all night. On the other hand, I imagine there was a party going on with those who had set Daniel up. This is a picture of anguish mixed with hope. Did Daniel’s God come through? The King is overjoyed. Daniel is lifted out of the lion’s den without a scratch. If the story ended there, that would be enough, but it doesn’t end there. Sometimes it seems that the wicked prosper. Notice that not only the men who accused Daniel but their children and wives were tossed in also. I am sure that it made a huge impact on the people of his kingdom as to the cost of jealousy and trickery. Sometimes things happen so that others will see our faith in action. Things happen so others will know that our faith in God is real. Things happen so that in the end God will get the glory! Whatever ‘lion’ we face, God is greater. He is with us and He will see us through. For the past 5 days I have looked at waiting. One thing I haven’t addressed is joy in the waiting process. Col 1:11 Paul prays that they would endure (wait) with joy. We are truly missing out if we think that joy is only available when we are problem free. After all, the Bible tells us that the joy of the Lord is our strength. Neh 8:10 I believe it is a lack of joy that causes us to give up instead of endure. Our joy is not dependent on our external circumstance. Our joy IS dependent on our relationship with Christ. We are building on the firm foundation of Christ. He helps us. Our heart can indeed leap for joy. The realization that I can rely on the Lord for my strength – that right there is cause for joy! Waiting changes us. It is the only way I know to grow in patience and endurance. Don’t waste the waiting time tangled up in fear. Use this time to let your hope and faith rise up. God keeps His promises and one of them is that He is with us always. What God does in us – in that long night of waiting – He wants to do through us. Psalm 40 starts out with waiting on the Lord. God lifted him out of the pit. On the other side of waiting is a new song and blessing. This new song in our heart isn’t just for us. While we are waiting, others are watching. They want to know that this Jesus thing is real. They are looking to see if we believe what we say. Others will see that new song in our heart and be drawn to Christ. While I’m waiting, I will praise You, Lord! Fear cripples faith, but faith overcomes fear! I needed to be reminded this morning that I have nothing to fear. I know some of what today holds, but more importantly I know who holds me today. Over and over the Bible says fear not, do not be dismayed, do not be anxious, trust God, be strong and courageous, God is with us, our hope is in Him! Fear is controlling. It limits what a person does. Fear will also cause some people to try to control or manipulate a situation/person. This is not beneficial. Bad decisions are often the result of fear. Being afraid will create distance, both in our relationship with God and with others. Fear will try to keep me confined in my comfort zone. I have come to realize that a ‘comfort zone’ is a great way to avoid embracing life. Thankfully God is always nudging me to step out in faith. Oh what an adventure it is!! Whatever you are facing today – remember you are not alone. Truly God is an ever-present help in trouble, (Psalm 46:1) You are His and You are safe in His embrace. (Proverbs 18:10, 29:25) He is with you, for you, and loves you. Today trust God, let your faith rise up, and hold fast to the knowledge that God is able to help you handle anything that comes your way.